TOR-X is airdropping 100 TOR-X tokens to 50 000 first registered users. Visit website, click on “Register NOW”, submit your Name, Last Name and email and verify it to get 100 free TOR-X tokens. To participate in TOR-X airdrop you should pass KYC. Blockchain fundraising is the “killer app” according to Changpeng Zhao (CZ), CEO of major cryptocurrency exchange Binance, and more exchanges are dipping their toes into it. Among them are OKEx and Bittrex International: the former is preparing to launch a token launch platform, while the latter has announced its first Initial Exchange Offering (IEO) starting March 15th, 2019 at 10 am KST. Andy Cheung, Head of Operations at cryptocurrency exchange OKEx, has announced on his Twitter profile that the company is going forward with a token launch platform, although he has not clarified when: “Many has asked if we'll do a token launch platform. The answer is YES. We've prepared it for months. And now it is ready to launch,” Cheung wrote. OKEx was not available for an immediate comment. Meanwhile, cryptocurrency exchange Bittrex is already starting to use its platform. The exchange will soon host an Initial Exchange Offering (IEO) on behalf of a project whose team is aiming to create a blockchain-powered game data ecosystem. The South Korean startup, known as RAID, has provided Bittrex with 17 billion of their native XRD tokens for the IEO. The IEO is open to authorized users and XRD tokens will be available for purchase for Bitcoin. The offering also marks the first IEO to be hosted on the Bittrex International Platform. The Bittrex International Platform reminded many in the community of Binance’s Launchpad, a token launch platform, but CZ does not see a problem with that: “The race to see who lists first is overrated, and short term focused. Exchange users are very liquid. They move around all the time. We just focus on improving our products and services for the long run,” he replied to a Twitter user questioning his interest on listing the coin on Binance. Platon Finance is an insured crypto-financial ecosystem, which aims to connect the traditional fiat money market with digital currencies on a secured and user-friendly ecosystem. Platon Finance has been on a road to solve some of the most common problems of blockchain technology and cryptocurrencies, which is mostly due to the lack of trust in cryptocurrency as an investment or payment method and the low usability and security issues with wallets and exchanges. These are contributing factors to the reason that crypto has not met mass adoption. To remove these problems, Platon Finance platform will offer multiple features which aim to combat those problems. The Platon Wallet has already been launched and is insured by Lloyd's Syndicate. By offering an insured wallet, Platon Finance has removed the trust and security issues within existing wallets/exchanges. They additionally aim to increase security and guarantee this by partnering with Symantec Corporation, which is a world-wide known cyber-security corporation. Platon Finance will have a multifunctional platform called Platon Club. The Club will be the main platform that Platon Finance will be built on and through it they will offer a variety of features for their users. Users will be able to control everything via the Platon Club while they are being educated about cryptocurrencies. Platon Finance aims to make partnerships with several exchanges and allow their users to trade on those exchanges via Platon Club. Additionally, users will be able to buy real properties through the Club and participate in lots of unique projects, which will be launched by Platon Finance. Moreover, Platon Finance will provide a prepaid payment card called Platon Card which can be used, alongside the PlatonCoin, on the Platon Club. Besides all those future aims, they have already partnered with an e-commerce cloud platform called Mozayc. Mozayc is an intelligent cloud tool (SaaS) for creating and managing websites and e-shops in the global online marketplace. They provide an all-in-one solution to run a website and/or e-shop. This partnership will implement PlatonCoin into e-commerce and extend its use. PlatonCoin, which is an Ethereum ERC20 based token, will be the primary currency of the Platon Finance ecosystem. It will be used to pay the fee for transactions made via the Platon Wallet and as an investment tool for advancing in various innovative projects in IT, charity and environmental projects. Platon Finance has already done a great job by establishing essential partnerships and collaborations with some of the big players in the cyber-security world. Their team appears to be qualified and motivated towards their goals and the project presentation is very professional. As they already have their Platon Wallet available and the Platon Coin traded on LAToken exchange, we are looking forward to their platform release in Q1 2019. If they continue with the excellent work they have done so far, we expect Platon Finance to succeed. -Built-in IP-address anonymization with TOR (The Onion Router) and VPN (Virtual Private Networks) support. -Generates a new public address with every new transaction. -Alerts that don’t let you use the same address. 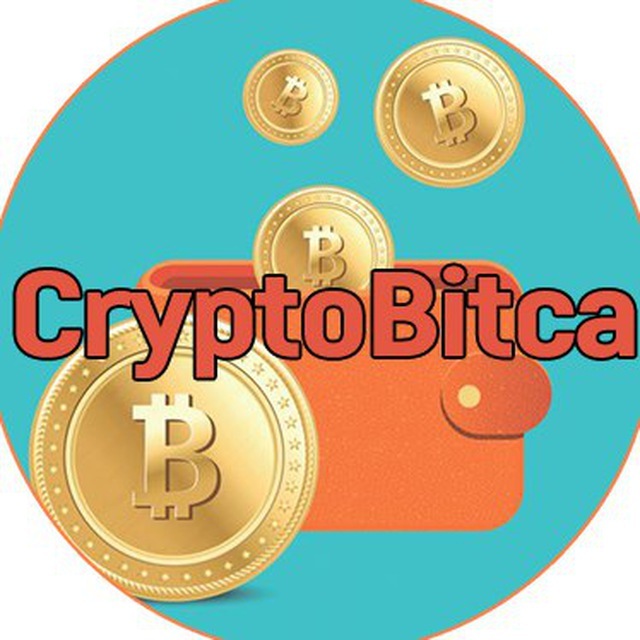 -Ricochet send, which sends your transaction through multiple BTC addresses before reaching the destination account to bypass such measures as address blacklisting. -Stonewall transaction protection that increases the difficulty of linking transaction inputs, outputs, and metadata. -Integrated Tor anonymity and VPN service. -Hierarchical Deterministic (HD) wallet that generates native segregated witness (SegWit) addresses. -Trustless Chaumian CoinJoin mixing which enforces a constant 100 anonymity set. -BitLox Advanced. Lets you keep up to 100 wallets with countless addresses. -BitLox Ultimate. Supports the ability to hide up to 50 of your created wallets. -BitLox Extreme Privacy Set. A complete set of Bitcoin hardware wallet and a military grade USB vault with the preinstalled Tails operaring system with Tor-compatible web tool. "Smartphone Coins" - Cosmo Coin (COSM), and Enjin Coin (ENJ) - saw their prices skyrocketing in the past 24 hours. However, COSM, trimmed its gains (around 90%) just to 6% in a matter of minutes, while ENJ also corrected lower. The rally was prompted by the South Korean media unsourced reports that a partnership between Enjin Coin and tech giant Samsung has been supposedly confirmed. However, reports do not specify any further about the partnership. Moreover, there is no new COSM-related announcements. As previously reported, the Samsung Galaxy S10 smartphone, whose release date is set for March 8, will have a wallet which will reportedly support COSM and ENJ. However, no further official information has been released since then. Meanwhile, Changpeng "CZ" Zhao, CEO of major cryptocurrency exchange Binance, tweeted earlier today: "Congrats to $ENJ, solid tech wins. #BUIDL", however the tweet was deleted later. COSM is the token for South Korean beauty review dapp Cosmee. ENJ is the cryptocurrency of the Enjin platform dedicated to supporting easier creation of gaming content and economies based on virtual assets. In the past few hours, the market sentiment improved for a few small cap altcoins, which helped bitcoin in moving higher. BTC stayed above the USD 3,850 support and it recently climbed above the USD 3,900 and USD 3,920 levels. However, the price failed to extend gains and it is currently (UTC 08:10 AM) consolidating near USD 3,900. On the other hand, ethereum continues to face a strong resistance near the USD 140 resistance. ETH/USD is currently trading above USD 135, with a flat structure. Ripple price is down around 1% and it seems be heading towards the USD 0.312 support level. There was a strong support formed above the USD 3,850 level and bitcoin price attempted to clear the USD 3,900 resistance. There was a spike above the USD 3,920 before BTC faced sellers near USD 3,930. The price retreated to USD 3,900 and it is currently consolidating gains. An initial support is near the USD 3,860, followed by USD 3,850. The main support is at USD 3,800, where sellers may struggle. On the upside, the price must gain bullish momentum above USD 3,900 and 3,920 to establish a solid bullish wave. The next resistance is at USD 4,000 and USD 4,040. Ethereum price continued to struggle near the USD 140 resistance and it recently declined below the USD 138 level. On the downside, there is a strong support formed near the USD 135 level. Therefore, the price may trade in a range above the USD 135 support before it either climbs above the USD 140 resistance or extend losses below the USD 135 support in the near term. Bitcoin cash price extended losses below the USD 132 and USD 130 support levels. BCH/USD is down around 2% and it seems like it could continue to move down towards the USD 126 or USD 125 support zone. EOS started a downside correction below the USD 3.85 and USD 3.50 support levels. The price is currently trading near the USD 3.75 level and it seems like sellers could aim the USD 3.65 support level in the coming sessions. Ripple price declined recently below the USD 0.315 and USD 0.314 support levels. XRP/USD is currently trading near USD 0.313, but it may test the USD 0.312 support level before it could rebound above USD 0.315. In the past few hours, many small cap altcoins rallied and posted heavy gains, including ENJ, AOA, CRO, DGTX, REPO, PAI, RVN, LINK and MANA. Out of these, ENJ rallied more than 70% and AOA is up close to 55%. Overall, there are many positive signs on bitcoin charts, suggesting more gains above the USD 3,900 and USD 3,920 levels. BTC buyers are likely to remain in action and they could aim USD 4,000 or even USD 4,150 before the end of the week. A Supreme Court judge has handed troubled Canadian cryptocurrency exchange QuadrigaCX a further six weeks’ protection from its creditors as it continues a frantic search for some USD 140 worth of missing cryptocurrencies. Per Canadian newspaper the Globe and Mail, the judge stated that creditors will have to wait until April 23 before they can bring legal action against the company, with some 115,000 customers affected by QuadrigaCX’s failure to locate their funds – which appeared to have vanished since the mysterious death of the exchange’s founder Gerald Cotten, late last year. Major figures in the cryptocurrency industry have accused the company of attempting a cover-up. Cotten’s widow, Jennifer Robertson, meanwhile, has asked the court that she be repaid USD 225,000 of her own money spent on legal costs as she forked out to help the exchange win protection from its creditors earlier this year. The judge said on Tuesday that the request – which per Bloomberg was protested by lawyers representing the creditors – would be deferred to another day. Robertson’s lawyer stated that she wanted to step away from the case as she felt she was “not versed” in cryptocurrency-related matters, and had rejected taking on a directorial role in the firm. The same judge also approved the appointment of senior VP Peter Wedlake, of auditing firm Grant Thornton, as QuadrigaCX’s new acting chief restructuring officer. Meanwhile, south of the border in the United States, a city in New York has lifted a ban on crypto mining. According to media outlet WAMC, Plattsburgh’s city council voted 5:1 in favor of a motion to overturn an 18-month ban on new mining projects imposed in March last year by the city’s mayor. Electricity prices had been driven up across the board for local residents following a spike in mining activities in the area. A third wave of crypto wallets tied to cryptocurrency exchange Cryptopia were emptied to the tune of around USD 30,000 - USD 40,000 worth of ether, co-founder and CEO of blockchain analysis protocol and platform Elementus, Max Galka, told Cryptonews.com. This makes it a smaller-scale theft than the previous two rounds, but raises the question - why are people still depositing their cryptocurrencies into Cryptopia-owned wallets?